One of our favorite go-to quick fixes is the grilled cheese. 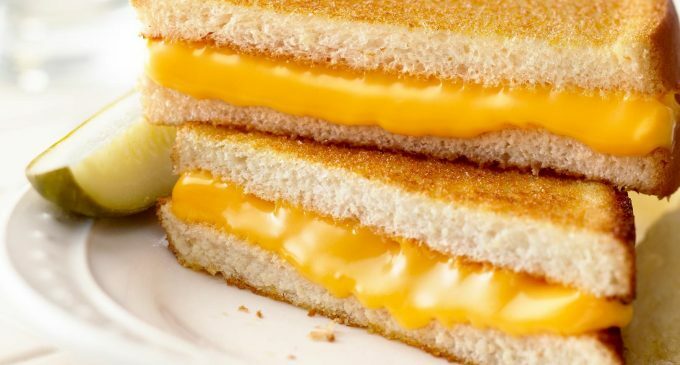 No matter how old you get it seems that the grilled cheese will always be a favorite. For many, it's the first thing they learn how to make, for others, it's a nice warm reminder of a simpler time. The best part is that its super simple and at the core all the recipes are the same. We've found a trick to making the best grilled cheese sandwich that'll impress anyone! From grilled cheese and soup to a stand-alone meal this sandwich has been warming up the tummies of people for generations. Now, we can take the classic grilled cheese recipe and make it even better! So how do you make this impeccable classic even better? Simple, by changing one of the main ingredients! Instead of using butter on your bread to give it that crisp grilled taste and look, this recipe uses something different! Not only will you still have a delicious, classic sandwich, but also a new way to make it even tastier!